Since 2013, I’ve been putting together a yearly database of publicly available digital statistics for the Irish market as a personal project. It’s nothing fancy, just a list of stats, but plenty of people seem to find it helpful for work and college. I took a bit of a break in 2016, but to kick off the new year, the ‘Irish Digital Consumer Report 2017’ is back, with more info from a wide variety of sources. Hopefully, you’ll find it interesting to thumb through, but also, more importantly, very handy in your day to day work. Of course, stats on their own are pretty meaningless, and nothing in here will give you the secrets to success with digital marketing, but something is guaranteed to spark a thought! NB: These stats are all from publicly available sources, released throughout 2016. I take no credit for any of them, nor any blame for their accuracy! how Irish people young and old use social media, and what new channels are growing. how we shop online, and why. some comments from myself, contextualising all of the above and much, much more. As usual, it’s all free! If your friends jumped off a bridge would you do it too? Any Irish person of a certain vintage is likely to have heard that immortal line from an aghast mammy at some stage. Little does the Irish mammy know that she’s describing a psychological phenomenon. Ever been in a classroom and someone walks into the room? One member of the class turns and looks, and without even thinking, the rest of the classroom does too. Ever been at a rugby game when there’s a lull in the action? Then one slightly well oiled chap starts to sing a chant and the rest of the crowd join in. This is ‘social proof’ at play. We’re evolutionarily hardwired to be group animals. This herd instinct is a legacy of our ancestors, when if one person started running because of perceived danger, it was probably better for you to do likewise, lest a wild animal catch you unaware. Those who acted differently than the group probably exited the gene pool. That’s why in modern times, individuals feel that they are behaving correctly when they’re behaving the same as other people, particularly if it’s a large group of other people. This is partly why crushes at big events are so nonsensically dangerous. Alone, each person in the crowd would be unlikely to start running because of some danger or a gate opening. But in a crowd, we’re reduced to our base state of following what others do. Social proof is also the reason why sects commit collective suicide, why the Nazis got into power and partly why financial bubbles occur. So we know that this invisible power of peer pressure can warp common sense. 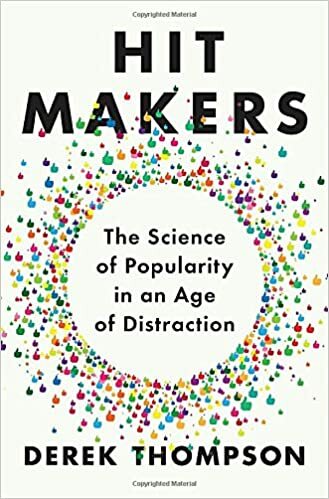 But in a world of social media, where we can follow what everyone, from celebrities to friends is doing at all times, social proof is also incredibly important to understand for marketers. It’s never been easier to see what the group thinks in real time. Because most of what consumers or brands do online is actually layered on top of a voting system (favourite, RT, like, heart, review, comment) . That makes it far easier to see what ‘people like me’ like. That’s also why Facebook’s advertising is so effective – showing those little avatars of your friends alongside a brand name gives increased credence to the brand. In an experiment, researchers asked teenagers to contribute some of Instagram photos, while scientists analysed their brain activity with functional magnetic resonance imaging. As part of the experiment, the teens could also see how many likes had been given to each photo. Although the researchers had assigned the likes as part of the experiment, the teenagers were given the impression that the endorsements came from their peers. When the youngsters viewed images that had a lot of likes, there was greater activity in neural regions of the brain involved with reward processing, social cognition, imitation and attention, researchers said, compared with neural reactions when the teens looked at photos with fewer likes. The effect was magnified when they saw an image they themselves had contributed which had received a large number of likes, researchers said. Teenagers were more likely to give a like to an image that had already gotten dozens of likes, even if it was a fairly banal picture of a plate of food or a pair of sunglasses. They were less apt to like the same kind of image if it had gotten few likes. Basically, the respondents took their cues from whether others had liked the photo, rather than using their own opinion to make a decision. The content was irrelevant, the social proof of other people liking it was all that matter. So the more likes that a piece of content had already gotten, the more likely this activity was to compound and create a snowball effect. Similarly, digital video analysts Unruly have released research that backs up the importance of early momentum. According to the brand, in 2013, around 10% of video views came in the first two days. In 2014, around 18% of views happened by day two and in 2015, around 25%. This may seem like a small point, but it’s actually revelatory. A similar thing happens on Facebook, Instagram, Twitter, Tripadvisor and Reddit. It means that the content that brands put onto social channels must get early traction in order to be effective. If not, then you lose all momentum, the social proof/herd effect is lost and no matter if the content is great or not, it’s seen by sub optimal amount of people. So what are the key takeaways for marketers? Firstly, support your content with advertising early in its lifecycle. Don’t wait to turn it on, have it ready to go when the video goes live. Also, ensure that your content plan leaves room for reactivity, and also that you’re posting at the right time for your audience (Facebook insights tools will help here). More early likes serve as a social cue, orienting or alerting people to what is cool or socially appropriate. That’s why a certain Irish male media brand purchases thousands of fake Instagram followers when its entering new markets to give the illusion of group acceptance. And most importantly, endorsements are incredibly powerful, if you get the right person endorsing. Irish consumers are the most cynical in Europe, but we do value the opinions of people like us. Consumer reviews are the second top online research channel after search engines, while a word of mouth recommendation from a friend or influencer is the second top method of brand discovery after T.V. Yet we rarely optimise for these channels of influence. Similarly, 35% of Irish consumers actively write reviews, so for a brand, getting the testimonial/social proof effect right can have a huge impact on your bottom line. Meerkat, live streaming and Twitter´s blue elephant..
Want a simple heuristic to spotting the next big tech company or app? Watch for those whose names have been ´verbed´ in common language. From ´Facebooked´to´Tweeted´, ´Googled´ to Ínstagrammed´, you ain´t nothing till your name has been bastardised. In the past seven days, illustrating again just how quick the bleeding edge of the web moves on, ´meerkatting´ has been the hot term. 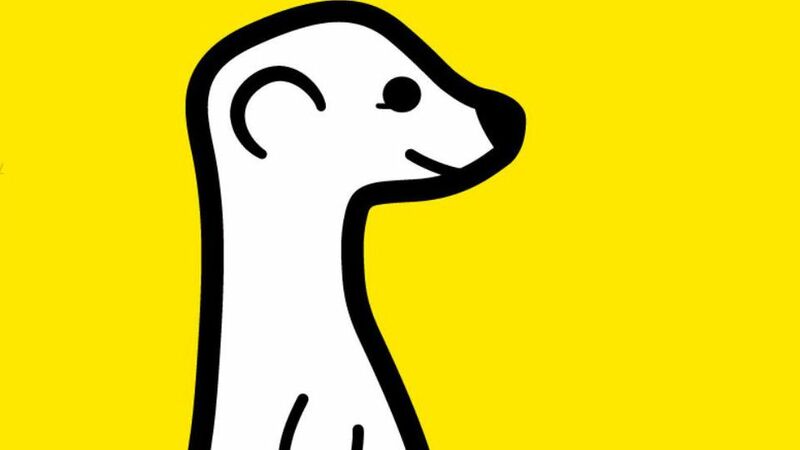 In case you´ve spent some time under a rock, or more likely don´t keep up with possibly ephemeral tech trends, Meerkat is a new free app that´s brought live streaming mania to Twitter. The app is simple to use, embeds directly into your Twitter timeline, and harnesses the native immediacy of the Twitter platform in an exciting new way. Though very much at the initial early adopter stage, there is obvious excitement amongst the tech crowd. Theoretically, live streaming is nothing new, and Twitter enables native video to be recorded and shared in an instant. So why the hype and almost instant addiction? Obviusly, there´s a novelty factor, but Meerkat is so seamless and easy to start with, users can literally be live to their followers within 10 seconds of clicking the initial button. Your phone’s video screen appears, a tweet is sent out, and lo, you are live-streaming. As people start to watch, their Twitter profile pictures appear on screen so you can see who is viewing. If your viewers tweet at you, the message also appears on the screen, allowing you to respond. A simple, palatable user experience. Like all great app launches, it´s also got its timings bang on. The technology may not be revolutionary market readines is greater than ever before, considering widespread smartphone penetration, 3G/4G speed and the massive trend of smartphone video content and amateur creators on sites like YouTube and Facebook. Meerkat basically sits at the intersection of a venn diagram of very interesting tech and cultural trends, and allows all of us to be a live publisher instantly. Imagine the repercussions for live news, webinars or celebs/influencers? In Silicon Valley terms, the app has ´bottled lightning´. Personally, I´ve grown to despise the nebulous term ´growth hacking´, but Meerkat has certainly hacked its way to popularity too. Most importantly, by piggybacking on the Twitter API, the app has an existing social graph and network effect that it doesn´t have to spend time and money building itself. Basically, anything you do on the app is auto shared to your Twitter feed, resulting in viral growth, particularly in notoriously curious tech circles. SXSW is also on the horizon, and like the multitude of hot apps that have launched in Austin over the years (including, memorably, Twitter), we should expect plenty of column inches and live streams from what´s still the most important tech gathering of the year. Heck, when sites like The Guardian are already trialling the service, you know there´s something bubbling. And then of course, there´s the rather large, blue elephant in the room. I´ve spoken before about theinherent dangers of building your business on top of another social platform, and the control that this choice cedes. 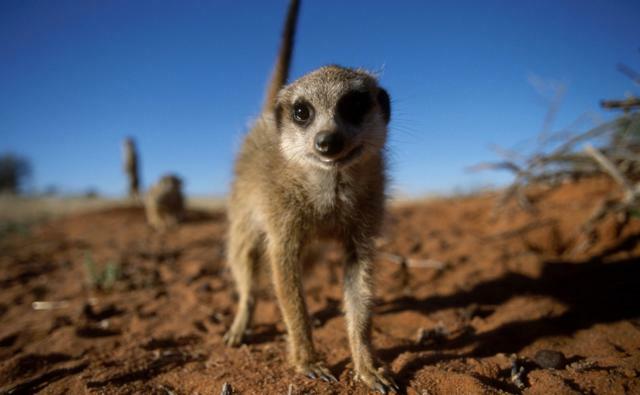 In this instance, the relationship between Twitter and Meerkat is particularly tenuous. Twitter likely has designs on this streaming business itself, and indeed 2015 is the year when the company will drive its native video platform. Twitter has also historically been slightly cold towards developers on their platform, compared to Facebook for example. Early last week, notifications from Meerkat mysteriously stopped being shared into the Twitter timeline due to a quick code change. Twitter is also said to be toying with a new Facebook style weighted newsfeed, meaning it could possibly dial down Meerkat notifications, though this isn´t an option currently. This can be seen as either a mistake or a warning from Twitter, but given the rumblings of their interest in buying a similar app, it´s more likely the latter. Perhaps the best option for all parties involved is for Twitter to make a purchase offer, but that´s unlikely to happen soon. Given the potentially millions of brands on Twitter with access to Meerkat, there are plenty of potentially innovative options for testing it out. Webinars, celeb endorser live Q&A sessions, live interviews or live streaming from stadiums for sports brands. Unfortunately, once a moment is over, it´s over – the app doesn´t record content yet – and the options for brand scale is limited.There is also no option to embed your Meerkats, which limits the possibilities for journalists using it to stream live from breaking news scenes or brands using it within microsites. But like all of these viral tools, first mover advantage and the potential for positive PR are upsides for smart, quick on the uptake brands. 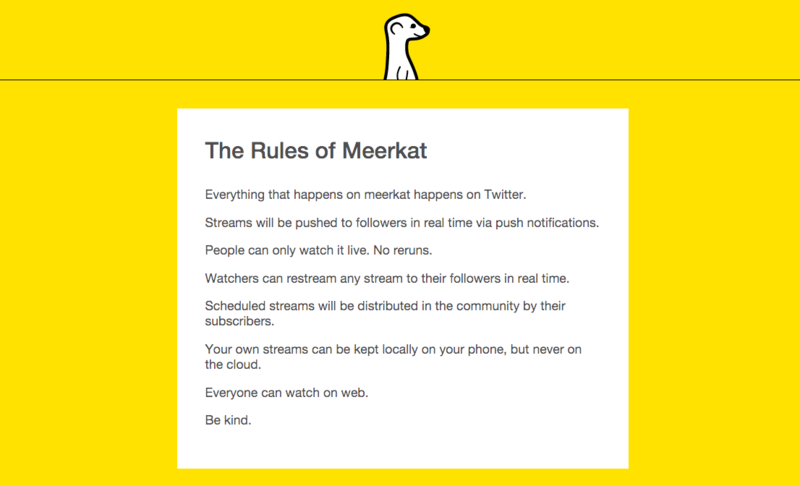 Meerkat is early stage, quick, scrappy, hacked together and raw at the minute. Its future is very much uncertain and rests on appeasing Twitter, keeping its head above water as growth occurs, working out a monetisation option, while also reaching the unwashed critical masses. It might sound like a dizzy conondrum to most people, but as it stands, Meerkat is a startup entrepreneur´s fairytale come true. Watch this space with interest, and start taking bets on when ´meerkating´ will enter the Oxford dictionary.